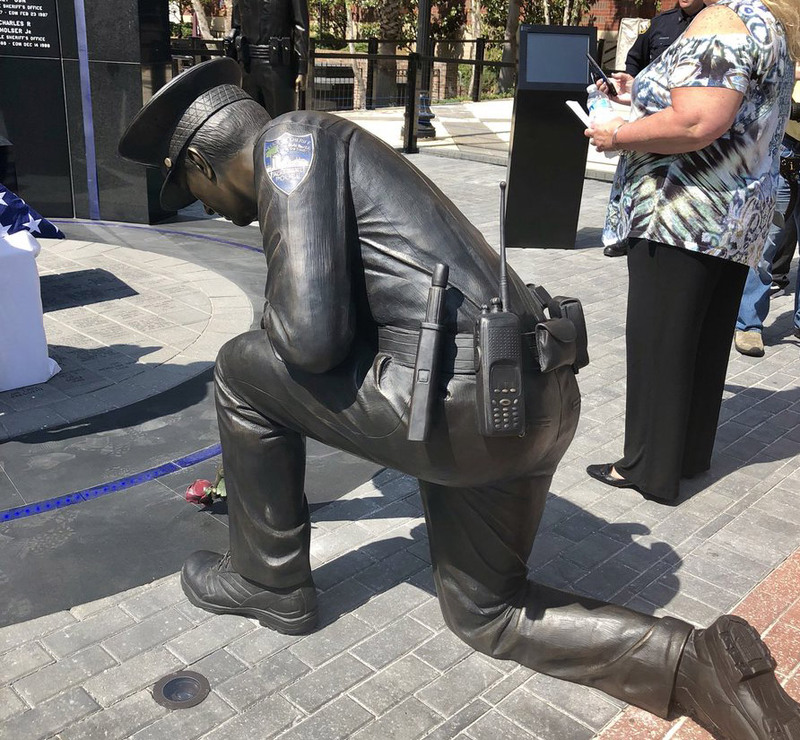 JACKSONVILLE, Fla. – The 61 names etched into the Fallen Officers Memorial Wall outside the Jacksonville Veterans Memorial Arena represent lives given in the line of duty and the families they left behind. 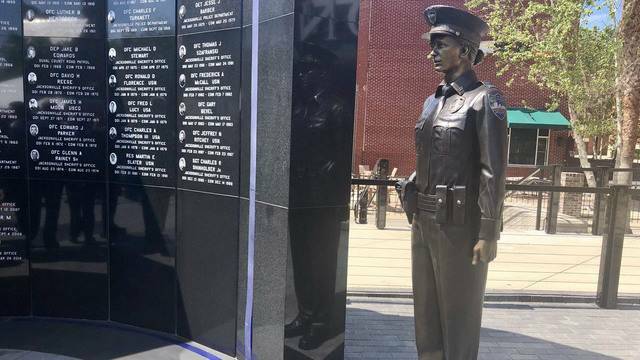 One grieving father told News4Jax after Thursday’s annual memorial ceremony that the wall not only keeps his son’s memory alive, but tells the story of the ultimate sacrifice officers make. “A person never gets over losing a son,” said Charles Shinholser Sr., the father of Charles “Ray” Shinholser Jr. The younger Shinholser’s name was one of 61 called out Thursday, representing all the local lives lost in the line of duty since 1840. Ray Sinholser was on his motorcycle performing traffic duty for the Jacksonville Sheriff’s Office when he was hit and killed by a truck in 1988. He was only 30 and had a wife and two children. His father said the Fallen Officers Memorial means a lot to surviving families. “The day after he recorded it, he died in the line of duty,” Shinholser said. 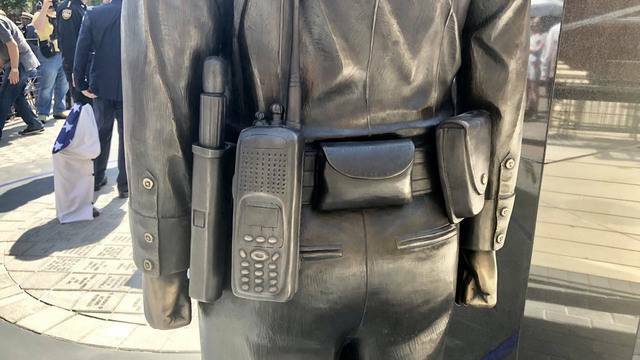 Shinholser’s family sold cassette tapes to raise money for the National Police Memorial in Washington. Ray Shinholser’s name has been displayed on the memorial since it was completed in 2016. New additions to the memorial were unveiled Thursday: two statues of officers standing at attention on either side of the wall and another statue of an officer kneeling in front of the wall, leaving a rose at the memorial. There is also an interactive digital kiosk with information on each officer. Finker-Frenkel Legacy Foundation donated the statues. Surviving families said the additions tell the story of the officers who made the ultimate sacrifice for their community.